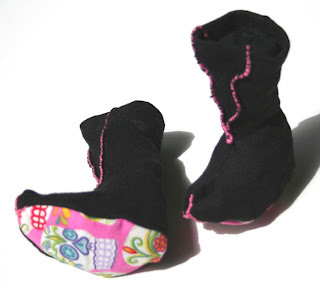 I made those cute Baby Booties out of black organic cotton. 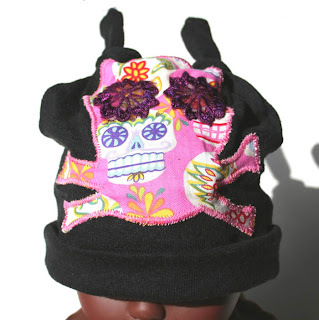 I decorated the front with a pink zig zag stitch. 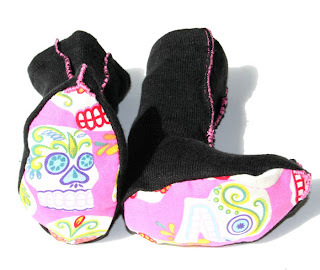 Interior of the sole is also black organic cotton, as the exterior is this beautiful skull print. 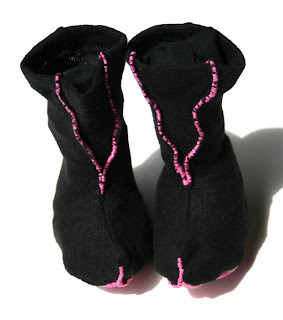 Sole measurement is 4". Size fits o-6 mos. 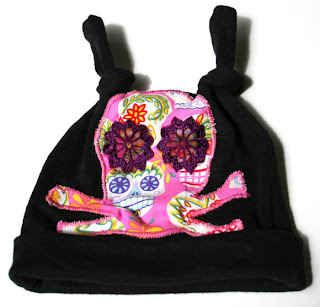 The matching Hat is made out of the same fabric and has been embellished with a skull appliqué. The eyes are purple lace. 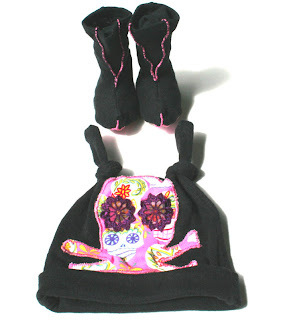 Now those are some saucy skulls! 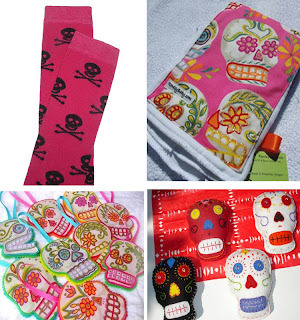 Fabulous fabric.